Why choose to only rent a photo booth when you can rent a photo bus? Our photo booth bus is a unique way to bring the fun of a photo booth to the outdoors! 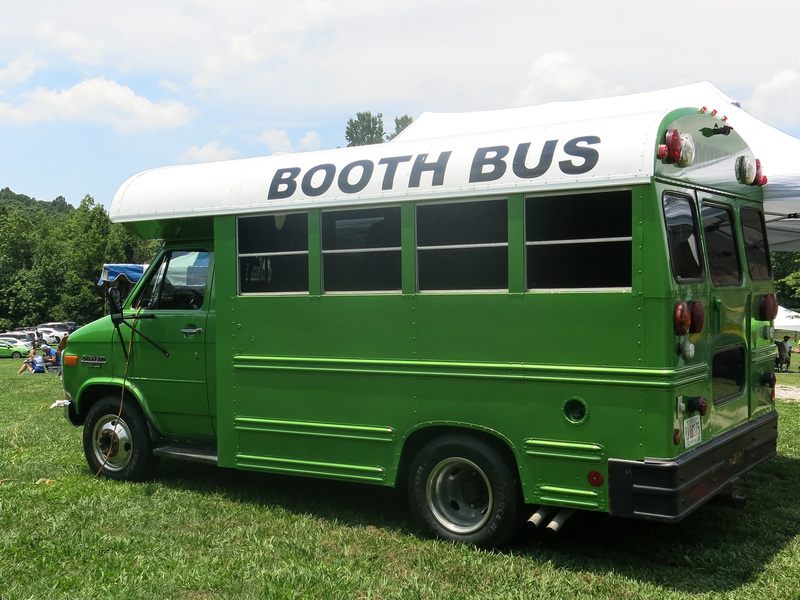 We’ll drive up the big green bus, set up the props, and before you know it there will be a line at the door of guests waiting to use the booth bus and collect their printed photos – and since our photo booth rentals come with unlimited printed photos, you can rest easy knowing that everyone will get a turn! Fill out the form below to reserve our mobile photo booth rental, or drop us a line if you have any questions! If You Heard by Employee, Which Employee Did You Speak With?